Prof. Rex Du's paper with Mingyu Joo and Ken Wilbur, "Advertising and Brand Attitudes: Evidence from 575 Brands over Five Years," was runner-up in the Marketing Science Institute Research Priorities Working Paper Competition. Prof. Michael Ahearne was named to the Journal of Marketing Research editorial board. Mike also serves as Associate Editor at Journal of Marketing, Journal of the Academy of Marketing Science, and Journal of Service Research, Senior Editor at International Journal of Research in Marketing, editorial board member for Journal of Retailing and Academy of Marketing Science Review, and member of the Senior Advisory Board for Journal of Personal Selling and Sales Management. Program for Excellence in Selling students Nalani Gruel, Sue Lynn Law, Kristin Powell, and Joy Yang placed 6th at the 2019 National Collegiate Sales Competition. This is the eleventh year in a row that our PES team has finished in the Top 10 at NCSC. Nalani Gruel finished 4th in the individual competition. Program for Excellence in Selling student Kristin Powell won 2nd place in the Gartner national sales competition. The AMA Doctoral Student Special Interest Group (AMA DOCSIG) released a tabulation of publications in top marketing journals over the past ten years which showed our Department of Marketing & Entrepreneurship tied for 43rd in the world for publications in JM, JMR, JCR and MKS, and 17th in the world for publications in JM and JMR. At an individual level, Prof. Michael Ahearne was 14th in the world for publications in JM, JMR, JCR and MKS and 4th in the world for publications in JM and JMR. Undergraduate WCE students Omar Alvarado and Jonathan Thomas won third place in the SXSW Project Innovation competition sponsored by Dell. Doctoral student Mohsen Pourmasoudi won the 2019 Organizational Frontline Research Young Scholar Award for "Selling in the Digital Age," co-authored with Michael Ahearne, Zachary Hall, and Partha Krishnamurthy. Doctoral student Phillip Wiseman won Best Paper in the Personal Selling and Sales Management track at the 2019 AMA Winter Educators Conference for "How Should Firms Onboard New Salespeople? The Relative Efficacy of Centralized vs. On-The-Job Training," co-authored with Michael Ahearne, Zachary Hall, and Seshadri Tirunillai. Prof. Vanessa Patrick was named as a Fulbright Specialist. Prof. of Practice Phil Morabito was named to Houston Business Journal’s inaugural Most Admired CEO list. 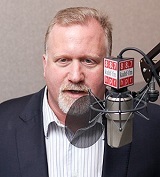 Phil is CEO of Pierpont Communications, the state’s largest independent integrated marketing/PR firm. 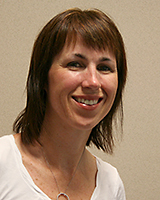 Prof. Vanessa Patrick was named an Associate Editor for Journal of Consumer Psychology. Vanessa also serves on the editorial boards of Journal of Marketing, Journal of Marketing Research, Journal of Consumer Research, is an Associate Editor at Journal of Retailing, and is currently serving as Editor for an issue of the Journal of the Association for Consumer Research on Everyday Consumer Aesthetics. Prof. Michael Ahearne was named an Associate Editor for Journal of Marketing. Mike also is Area Editor for Journal of the Academy of Marketing Science, Associate Editor for Journal of Service Research, Senior Editor for International Journal of Research in Marketing, editorial board member for Journal of Retailing and Academy of Marketing Science Review, and a member of the Senior Advisory Board for Journal of Personal Selling and Sales Management. Prof. Seshadri Tirunillai was named to the International Journal of Research in Marketing editorial board. Seshadri also serves on the editorial boards of Marketing Science, Journal of Marketing Research, and Journal of Interactive Marketing. Prof. Seshadri Tirunillai received the 2018 Best Reviewer Award from Journal of Interactive Marketing. Prof. Vanessa Patrick received the 2018 Best Reviewer Award from Journal of Consumer Research. Prof. Seshadri Tirunillai was named to the Marketing Science editorial board. Seshadri also serves on the editorial boards of Journal of Marketing Research and Journal of Interactive Marketing. Our Wolff Center for Entrepreneurship was ranked as the #2 undergraduate entrepreneurship program in the nation by The Princeton Review and Entrepreneur magazine. Princeton Review has ranked WCE as one of the top programs in the nation every year since 2007. 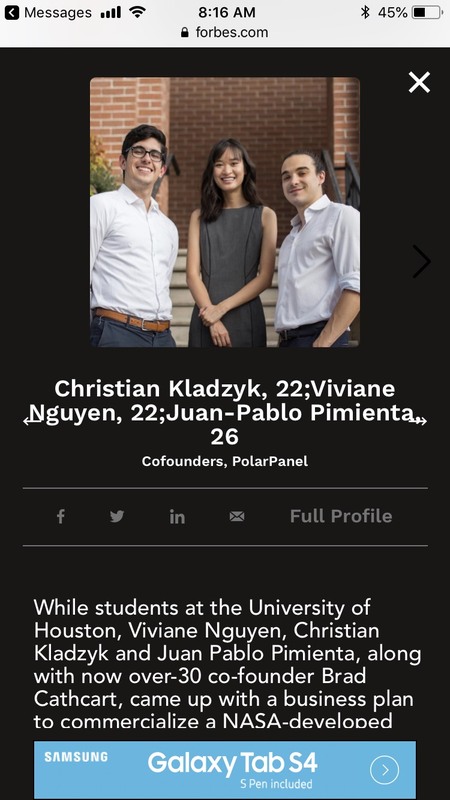 WCE Class of 2018 students Christian Kladzyk, Viviane Nguyen, and Juan-Pablo Pimienta were named to Forbes 30 Under 30. Their company PolarPanel won 2nd place at the MIT Clean Energy Prize business plan competition and 3rd place at the US Department of Energy National Cleantech University Prize Competition. Co-founder Brad Cathcart turned 31 over the summer and didn’t qualify for 30 Under 30, but did get a shout-out from Forbes. Doctoral alum Alina Sorescu was named an Associate Editor for Journal of Marketing. Alina also serves on the editorial boards of Marketing Science, Journal of Marketing Research, and Journal of the Academy of Marketing Science. Doctoral alum Zachary Hall was named as a 2019 Marketing Science Institute Young Scholar. This program recognizes the most productive young scholars in the field. Zach joins doctoral alums Hua Chen (2017), Son Lam (2013), Raj Venkatesan (2009), and Werner Reinartz (2005) as MSI Young Scholars. Prof. Michael Ahearne was named an Associate Editor for Journal of the Academy of Marketing Science and Journal of Service Research. Mike also is a Senior Editor for International Journal of Research in Marketing, editorial board member for Journal of Marketing, Journal of Retailing, and Academy of Marketing Science Review, and a member of the Senior Advisory Board for Journal of Personal Selling and Sales Management. Undergraduate WCE students Brad Cathcart, Christian Kladzyk, Viviane Nguyen, and Juan-Pablo Pimienta (Team PolarPanel) won 3rd place at the 2018 US Department of Energy National Cleantech University Prize Competition. They had previously qualified for the national finals by winning 2nd place at the MIT Clean Energy Prize business plan competition. Prof. Seshadri Tirunillai was named to the Journal of Marketing Research editorial board. Seshadri also serves on the Journal of Interactive Marketing editorial board. Prof. Vanessa Patrick was named to the Journal of Marketing Research editorial board. Vanessa also serves on the editorial boards of Journal of Marketing, Journal of Consumer Research, and Journal of Consumer Psychology, is an Associate Editor at Journal of Retailing, and will serve as Editor for an upcoming issue of the Journal of the Association for Consumer Research on Everyday Consumer Aesthetics. Prof. Seshadri Tirunillai was named to the Journal of Interactive Marketing editorial board. Prof. Kitty Wang was a finalist for the 2018 Paul Green award, which honors the Journal of Marketing Research article published in the previous year that demonstrates the most potential to contribute significantly to the practice of marketing research. Our Wolff Center for Entrepreneurship won the 2018 Deshpande Symposium Award for Excellence in Student Engagement in Entrepreneurship. Prof. Vanessa Patrick and her co-author, Ludovica Cesareo, won a research grant from the Carolan Research Forum. 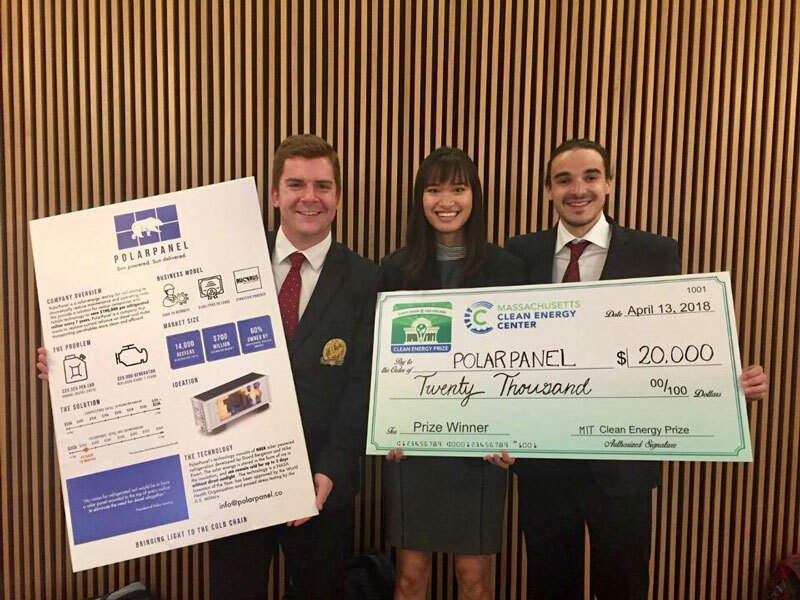 Undergraduate WCE students Brad Cathcart, Christian Kladzyk, Viviane Nguyen, and Juan-Pablo Pimienta (Team PolarPanel) won 2nd place at the MIT Clean Energy Prize business plan competition. Doctoral alum Suresh Sundaram received the 2018 Department of Business Administration Outstanding Faculty Award in the Lerner College of Business & Economics at University of Delaware. Prof. Joel LeBon was named Chair-Elect for the American Marketing Association Sales Special Interest Group (AMA Sales SIG). Program for Excellence in Selling students Andrea Acosta-Rivera and Brianna Ferguson placed 9th at the 2018 National Collegiate Sales Competition. This is the tenth year in a row that our team has finished in the Top 10 at NCSC. Prof. Steve Brown and doctoral alum Babu John Mariadoss, along with co-authors Shankar Ganesan and Dixon Ho, won the 2018 Louis W. Stern Award given by the American Marketing Association for the outstanding article that has made a significant contribution to the literature on marketing and channels of distribution. Prof. Joel LeBon received the 2017-18 UH Clinical/Instructional Teaching Excellence Award. Prof. Rex Du was named a Marketing Science Institute (MSI) Scholar. This program recognizes top scholars whose research is practically relevant for the fields of marketing and marketing research. Doctoral student Rita To was named a 2018 Emerging Fellow and given a research grant by the Academic Advisory Council for Signage Research and Education (AACSRE) . Doctoral student Shashank Vaid was named an ISBM Doctoral Fellow and given a research grant by the Institute for the Study of Business Markets. Doctoral student Shashank Vaid won the 2018 AMA Sales SIG Doctoral Dissertation Proposal Competition. Prof. Edward Blair was elected President of the Journal of Consumer Research Policy Board. Prof. Vanessa Patrick was named to the Journal of Marketing editorial board. Vanessa also serves on the editorial boards of Journal of Consumer Research and Journal of Consumer Psychology, is an Associate Editor at Journal of Retailing, and will serve as Editor for an upcoming issue of the Journal of the Association for Consumer Research (JACR) on Everyday Consumer Aesthetics. Doctoral alum Alina Sorescu was named Paula and Steve Letbetter Chair in Business in the Mays Business School at Texas A&M University. Alina previously was Rebecca U. and William S. Nichols III Professor of Marketing at Texas A&M. Doctoral alum Ryan Mullins was named to the Journal of Service Research editorial board. Ryan also serves on the Journal of Personal Selling and Sales Management editorial board. Doctoral alum Son Lam was named Area Editor for Journal of the Academy of Marketing Science. Doctoral alum Hua Chen was named as a 2017 Marketing Science Institute Young Scholar. This program recognizes the most productive young scholars in the field. Hua joins doctoral alums Son Lam (2013), Raj Venkatesan (2009), and Werner Reinartz (2005) as MSI Young Scholars. Prof. Joel LeBon won the 2017 Society for Marketing Advances Axcess Capon Distinguished Teacher Award for lifetime contributions to marketing and sales education. Joel previously received the 2017 Academy of Marketing Science Outstanding Marketing Teacher Award, the 2016 American Marketing Association Sales Special Interest Group (AMA Sales SIG) Excellence in Teaching Award, and the 2007 American Marketing Association Solomon-Marshall-Stuart Award for Innovative Excellence in Marketing Education. 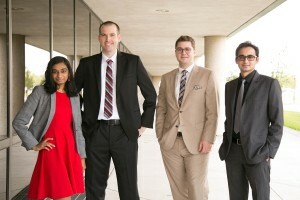 Undergraduate WCE students Anthony Carvajal, Jonathan Daniels, Aisha Dosani, Owen Loock, and Mandu Mbride (Team FreeBar) and Brad Cathcart, Juan-Pablo Pimienta, Luke Walther, Christian Kladzyk, and Viviane Nguyen (Team PolarPanel) won 3rd and 4th place, respectively, at the Texas Business Plan Competition at the University of Texas. Undergraduate WCE students Jacquelyn De La Garza, Caroline Duym, Giovanna Jimenez, and Dane Ralph (Team Zapp) and Anthony Carvajal, Jonathan Daniels, Aisha Dosani, Owen Loock, and Mandu Mbride (Team FreeBar) won 1st and 2nd place, respectively, at the IDEAS Pitch Competition in Houston. Prof. Edward Blair was named Visiting Scholar at the National Center for Education Statistics and Senior Fellow at National Institute of Statistical Sciences. Prof. Vanessa Patrick was being named Issue Editor for a Journal of the Association for Consumer Research issue on Everyday Consumer Aesthetics. Doctoral student Shashank Vaid was named as a finalist in the 2017 ISBM Doctoral Dissertation Award Competition. Doctoral alum Doug Hughes was named Department Chair for Marketing in the Broad College of Business at Michigan State University. 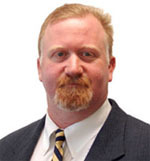 Doug is the United Shore Faculty Fellow in Sales Leadership at MSU and previously served as Interim Department Chair. Prof. Rex Du was named as a finalist for the 2017 O’Dell Award, which honors a Journal of Marketing Research article that has made the most significant, long-term contribution to marketing theory, methodology, and/or practice. Rex was named for his 2012 paper with Wagner Kamakura, “Quantitative Trendspotting.” That paper previously won the 2011 Best Paper award at the AMA Advanced Research Techniques Forum, the top forum for commercial market researchers, and the procedures described in the paper have been adopted by many major companies. Doctoral alum Raj Echambadi was named Dunton Family Dean of the Northeastern University D’Amore-McKim School of Business. Previously, Raj was Alan J. and Joyce D. Baltz Professor and Senior Associate Dean for MBA Programs & Strategic Innovation at the University of Illinois College of Business. Program for Excellence in Selling students Yissel Lerma and Justin Anderson placed 9th at the 2017 National Collegiate Sales Competition. 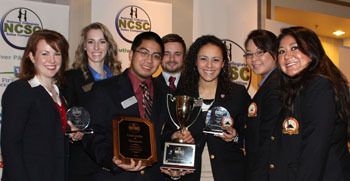 Our PES teams have finished in the Top 10 at NCSC in 11 of the past 13 years. Undergraduate WCE students Arsheen Memon, Kiran Meghani, Rishabh Jain, Bryan Martinez, and Emmit Schultz – team Vecense – won 1st place in the FLoW Business Plan Competition at Cal Tech. This is the second time in four years that WCE teams have won the FLoW competition. WCE undergraduates Arsheen Memon and Kiran Meghani won third place in the Draper (Business Plan) Competition for Collegiate Women Entrepreneurs. Doctoral student Shashank Vaid was named a winner of the 2017 AMS Review/Sheth Foundation Doctoral Competition for Conceptual Articles. Sash will receive a cash award and present his work at the 2017 Theory Forum held in conjunction with the Academy of Marketing Science Doctoral Consortium. Doctoral student Raghuram Bommaraju won Best Paper in the Managing Human Capital category at the AMA Winter Educators Conference for "Self-Selected Incentives: Evidence from Two Field Experiments on How to Customize Sales Force Incentivizing," co-authored with Sebastian Hohenberg. Prof. Joel LeBon won the 2017 Academy of Marketing Science Outstanding Marketing Teacher Award for long-term contributions to marketing education and teaching innovation. Joel''''s previously awards include the American Marketing Association Sales Special Interest Group (AMA Sales SIG) Excellence in Teaching Award in 2016 and the American Marketing Association Award for Innovative Excellence in Marketing Education in 2007. Senior marketing major Camille Corales won the Penny Todd Scholarship from the American Marketing Association Houston chapter. The AMA Doctoral Student Special Interest Group (AMA DOCSIG) released a tabulation of publications in top marketing journals over the past five years which showed our Department of Marketing & Entrepreneurship tied for 38th in the world for publications in JM, JMR, JCR and MKS, and 21st in the world for publications in JM and JMR. At an individual level, Prof. Michael Ahearne was 28th in the world for publications in JM, JMR, JCR and MKS and 7th in the world for publications in JM and JMR. Prof. Edward Blair was re-elected Vice-President of the Journal of Consumer Research (JCR) Policy Board. Prof. Rex Du's paper with Linli Xu and Ken Wilbur, "How do TV Ads Drive Brand Searches?" was selected as a “10 Best” paper and given a main stage presentation at the 2016 Advertising Research Foundation Re!Think Conference. Doctoral alum Raj Venkatesan was named Ronald Trzcinski Professor of Business Administration at the University of Virginia Darden Graduate School of Business. Raj previously was Bank of America Research Professor at Darden. Doctoral alum Alina Sorescu was named to the Journal of Marketing Research editorial board. Alina also serves on the editorial boards of Journal of Marketing and Journal of the Academy of Marketing Science. Doctoral alum Alina Sorescu was named to the Marketing Science editorial board. Alina also serves on the editorial boards of Journal of Marketing, Journal of Marketing Research, and Journal of the Academy of Marketing Science. Doctoral alum Willy Bolander was named Carl DeSantis Associate Professor of Marketing in the College of Business at Florida State University. 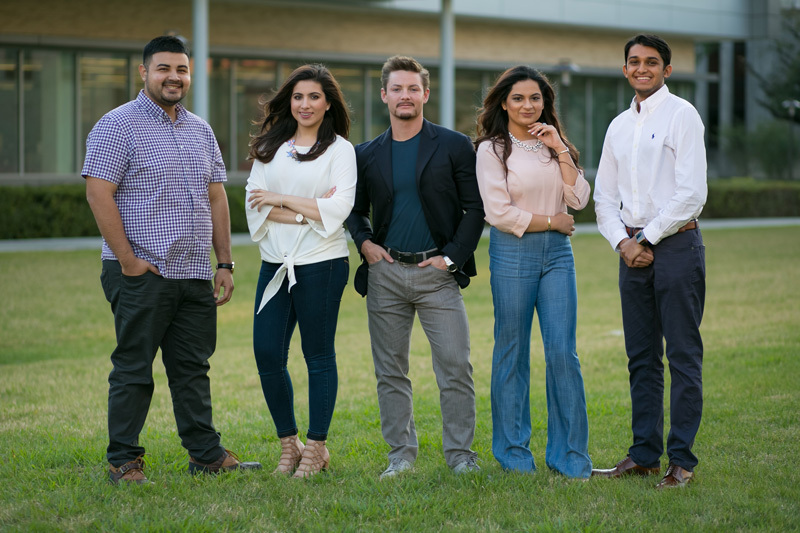 Undergraduate WCE students Rishabh Jain, Bryan Martinez, Kiran Meghani, Arsheen Memon, and Emmit Schultz – team Vecense – won 1st place at the IDEAS Pitch Competition in Houston. Our Wolff Center for Entrepreneurship was ranked as the #6 undergraduate entrepreneurship program in the nation by The Princeton Review and Entrepreneur magazine. Princeton Review has ranked WCE as one of the top programs in the nation every year since 2007. Doctoral alum Doug Hughes was named United Shore Endowed Faculty Fellow in Sales Leadership in the Eli Broad College of Business at Michigan State University. Doctoral alum Raj Echambadi was named Alan J. and Joyce D. Baltz Professor at the University of Illinois College of Business. Raj is Senior Associate Dean for MBA Programs & Strategic Innovation at Illinois, and previously held the position of James F. Towey Faculty Fellow. Doctoral alum Judy Harris was named Associate Dean for the College of Business and Economics at Towson University. Undergraduate WCE students Kevin Cho, Ody De La Paz, Nick Ravanbakhsh and Dylan Senter – team Sensytech – won 2nd place in the elevator pitch competition at the California Dreamin' business plan competition. Undergraduate WCE students Kevin Cho, Ody De La Paz, Nick Ravanbakhsh and Dylan Senter – team Sensytech – won 2nd place at the Tulane Business Model Competition. Prof. Joel LeBon was named Co-Chair of the 2017 Global Sales Science Institute Conference. Doctoral alum Nancy Albers-Miller was named Dean of the College of Business, Education, and Human Development at Louisiana State University Shreveport. Nancy previously was Dean of the School of Business at Pacific Lutheran University. Prof. Joel LeBon won the American Marketing Association Sales Special Interest Group (AMA Sales SIG) Excellence in Teaching Award for 2016. Joel also received a Melcher Teaching Excellence Award from the Bauer College last year and was part of the PES group that received a UH Group Teaching Excellence Award this year. Wolff Center for Entrepreneurship alums Casey McNeil and Susan Tran Bohuslav and their company REEcycle won the 2016 Texas A&M New Ventures Competition. Prof. Bette Stead (emerita) received the Lifetime Achievement Award from Volunteer Houston in recognition of her work with The Women's Home. Bette's work with TWH was previously recognized in 2010 when she was one of ten Houstonians named to receive the Mayor's Volunteer Houston Award and in 2015 when TWH honored her at a gala event. Prof. Joel LeBon was named Vice-Chair for Conference Programming by the American Marketing Association Sales Special Interest Group. 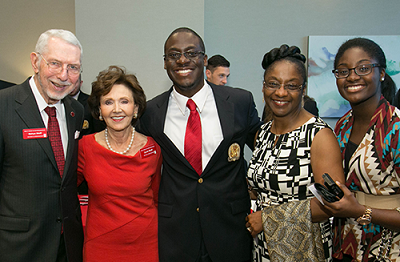 Our Wolff Center for Entrepreneurship received the 2015-16 UH Group Teaching Excellence Award. Our Program for Excellence in Selling received the 2015-16 UH Group Teaching Excellence Award. Prof. Amy Vandaveer received the 2015-16 UH Clinical/Instructional Teaching Excellence Award. Program for Excellence in Selling students Lauren Cuevo and Naomi Cosman placed 8th at the 2016 National Collegiate Sales Competition. Our PES teams have finished in the Top 10 at NCSC in 10 of the past 12 years. 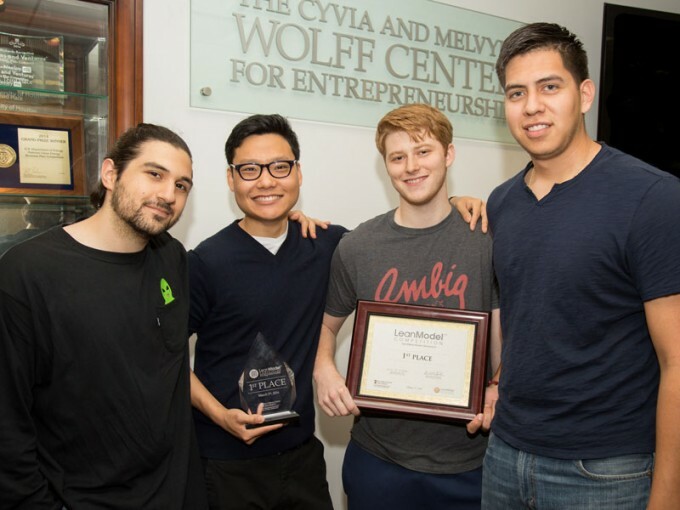 Undergraduate WCE students Kevin Cho, Ody De La Paz, Nick Ravanbakhsh and Dylan Senter – team Sensytech – won the 2016 Carnegie Mellon Venture Challenge business plan competition. The Greater Houston Business Ethics Roundtable honored Prof. Bette Stead (emerita) by creating the Bette Stead Leadership Award for ethics and compliance leadership. GHBER previously honored Bette by naming their scholarship program for her. Prof. Vanessa Patrick was named Visiting Research Fellow by Singapore Management University. Undergraduate WCE students Kevin Cho, Ody De La Paz, Nick Ravanbakhsh and Dylan Senter – team Sensytech – won the 2016 LeanModel Start-up Competition at San Diego State. Our Program for Excellence in Selling received a major gift from Andy and Barbara Gessner that will allow PES to reward our top performing students and support teams of students who participate in national competitions. Prof. Edward Blair was named Vice-President of the Journal of Consumer Research (JCR) Policy Board. Prof. Edward Blair was reappointed to the Journal of Consumer Research (JCR) Policy Board, where he represents the American Association for Public Opinion Research (AAPOR). Doctoral alum Alina Sorescu was a finalist for the 2015 Paul Green award, which honors the Journal of Marketing Research article published in the previous year that demonstrates the most potential to contribute significantly to the practice of marketing research. Doctoral alum Alina Sorescu was named to the Journal of the Academy of Marketing Science editorial board. Alina also serves on the Journal of Marketing editorial board. Doctoral alum Son Lam was named to the editorial board for Journal of Marketing. Son also serves on editorial boards for Journal of Retailing, International Journal of Research in Marketing, Journal of Business to Business Marketing, and Journal of Personal Selling & Sales Management. 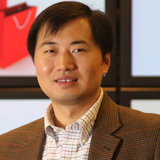 Doctoral alum Son Lam was named to the editorial board for Journal of Retailing. Doctoral alum Son Lam was named to the editorial board for International Journal of Research in Marketing. Former doctoral research fellow Adam Rapp was named Ralph and Luci Schey Professor of Sales and Executive Director of the Schey Sales Centre at Ohio University. Prof. Michael Ahearne co-chaired the American Marketing Association Summer Educators'' Conference. Doctoral alum Doug Hughes received the American Marketing Association Sales SIG Excellence in Research Award. Doctoral alum Raj Echambadi was named Senior Associate Dean for MBA Programs & Strategic Innovation at the University of Illinois College of Business. Raj previously served as Associate Dean of Outreach and Engagement. MBA students R. Jason Griffin, Aigul Aubakirova, Neil Gustafson, and Matt Avery, coached by Prof. Steve Koch, won 3rd place in the social impact category of the Google Online Marketing Challenge for their work with River Oaks Chamber Orchestra. 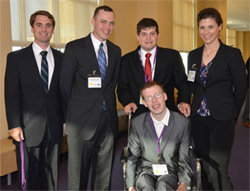 Undergraduates Herbert Murcia, Brittany Young, Dylan Senter, and Jordan Kunze finished as a Top 10 Finalist in the social impact category for their work with the Pujols Family Foundation, created by professional baseball player Albert Pujols to help children with Down Syndrome and impoverished residents of his native Dominican Republic. This is the 4th year in a row that Bauer teams have won podium places in this international competition, and we have never failed to make at least the semi-finals. Our Sales Excellence Institute received a major naming gift to become the Stephen Stagner Sales Excellence Institute. Our Wolff Center for Entrepreneurship was ranked as the #3 undergraduate entrepreneurship program in the nation by The Princeton Review and Entrepreneur magazine. Princeton Review has ranked WCE as one of the top three programs in the nation every year since 2007. Professor Bette Stead (emerita) was honored at a gala held by The Women's Home. Bette has chaired three major task forces to raise funds for TWH and its affordable housing projects. The gala recognition notes that TWH "has more than doubled in size and revenues since she began her volunteer work" and "Bette plays perhaps one of the most influential and pivotal roles for this accomplishment." Prof. Seshadri Tirunillai won the 2015 Lehmann Award for best dissertation based article in Journal of Marketing Research. Sesh previously won the 2012 John Howard Award for best doctoral dissertation in the field of marketing, and another paper from his dissertation that was published in Marketing Science was a finalist for the 2014 Frank Bass Award for best marketing paper derived from a doctoral thesis and published in an INFORMS journal in the past two years. Doctoral alum Jeff Boichuk won the 2015 AMA Sales SIG Doctoral Dissertation Award for his dissertation titled, "Developing and Retaining New Hires During the Sales Force Socialization Process." Prof. Michael Ahearne and doctoral alums Ryan Mullins, Son Lam, Zach Hall, and Jeff Boichuk won the 2015 AMA Sales SIG Excellence in Research Award which recognizes a journal article published during the previous year that has made a significant contribution to the sales discipline. Doctoral alum Sonja Prokopec was named by the Poets & Quants website as one of its "Best 40 Under 40" business school professors. Sonja is the LVMH Chaired Professor of Luxury Marketing at ESSEC Business School in Paris, France. Doctoral alum Rob Straughan was named Crawford Family Dean of the Williams School of Commerce, Economics, and Politics at Washington & Lee University. Doctoral alum Son Lam was named to the editorial board for Journal of Business to Business Marketing. 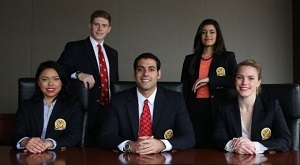 Son also serves on the editorial board for Journal of Personal Selling & Sales Management. Doctoral alum Doug Walker received the 2015 College of Business Junior Faculty Teaching Award at Iowa State University. Prof. Vanessa Patrick was named Associate Editor at Journal of Retailing. Vanessa also serves on the editorial boards of Journal of Consumer Research and Journal of Consumer Psychology. Prof. Michael Ahearne was named a Senior Editor for International Journal of Research in Marketing. Mike also is an Area Editor for Journal of Marketing, editorial board member for Journal of the Academy of Marketing Science and Journal of Retailing, and a member of the Senior Advisory Board for Journal of Personal Selling and Sales Management. Prof. Rex Du was named Chair for the 2016 AMA Advanced Research Techniques Forum (ARTF). ARTF is AMA's premier event for market research practitioners who use advanced methods in their jobs. Doctoral student Yashar Atefi received the UH Teaching Excellence Award for 2015. Yashar is one of only two graduate students campus wide to receive this award. The Texas Higher Education Coordinating Board gave a Recognition of Excellence to the Wolff Center for Entrepreneurship for best practices in entrepreneurial education. Doctoral alum Raj Venkatesan was named Area Editor at Journal of the Academy of Marketing Science. Raj is also Area Editor at Journal of Marketing. 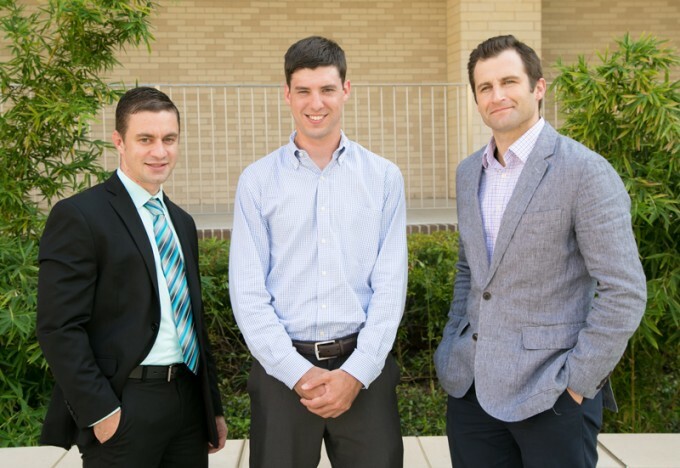 Undergraduate WCE students Jared Beale, Nick Brannon, Chris Holly, and Torri Olanski – Team Zeolytic – won 2nd place and $15,000 at the Baylor New Venture Competition. The AMA Doctoral Student Special Interest Group (AMA DOCSIG) released a tabulation of publications in top marketing journals over the past five years which showed our Department of Marketing & Entrepreneurship tied for 32nd in the world (25th in US) for publications in JM, JMR, JCR and MKS, and 14th in the world (12th in US) for publications in JM and JMR. At an individual level, Prof. Michael Ahearne was 11th in the world for publications in JM, JMR, JCR and MKS and 1st in the world for publications in JM and JMR. Doctoral alum Khaled Aboulnasr was named Department Chair for Marketing in the Lutgert College of Business at Florida Gulf Coast University. The Wolff Center for Entrepreneurship received major gifts from the Wolff and Lindler families to endow scholarships for WCE students. Our Wolff Center for Entrepreneurship was ranked as the #2 undergraduate entrepreneurship program in the nation by The Princeton Review and Entrepreneur magazine. Princeton Review has ranked WCE as one of the top three programs in the nation every year since 2007. Doctoral student Jeff Boichuk won second place in the 2014 GRaSP competition for scholarly publications by UH graduate students. This is a campus-wide award. Bauer teams won 2nd and 3rd place in the social impact category of the Google Online Marketing Challenge. The second place team was MBA students Sarah Burge, Neha Kejriwal, Benjamin Smith and Shu Su, and the third place team was MBA students Saket Maheshwari, Randall Miller, Varuniya Pushparajan and Charles Shelton. Both teams were coached by Prof. Steve Koch. GOMC is a global competition in which teams of students conduct Adwords marketing campaigns for real clients. More than 30,000 students around the world compete each year. As part of the prize, Google will donate $10,000 to Houston Grand Opera and $5,000 to Space Center Houston, the teams’ clients. Prof. Steve Brown was named Co-Editor for the Journal of Retailing. Steve previously has served as Associate Editor for Journal of Marketing and on the editorial boards of JM, JR, Journal of the Academy of Marketing Science (JAMS), Journal of Service Research (JSR), and Journal of Personal Selling and Sales Management (JPSSM). Prof. Rex Du, Prof. Ye Hu, and doctoral student Sina Damangir won the Best Paper Award at the 2014 AMA Advanced Research Techniques Forum (ARTF). Rex previously won this award in 2011. Doctoral student Jeff Boichuk won the 2014 Matthew Joseph Emerging Scholar Award. This award, given by AMA's Doctoral Student Special Interest Group (DOCSig), honors a doctoral student scholar who displays exemplary scholarship and a bright future in the marketing discipline as selected by a panel of faculty judges. 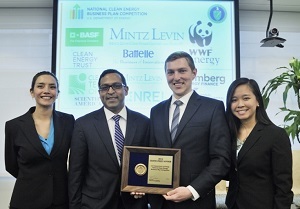 WCE undergraduate students Cassandra Hoang, Bobby Jacobs, Casey McNeil, and Susan Tran (Team REEcycle) swept the U.S. Department of Energy National Clean Energy Business Plan Competition in Washington, DC. REEcyle won all three awards given: the Audience Investor Choice Award based on votes from attendees, the People's Choice Award based on online voting, and the Grand Prize Winner selected by the competition judges. Also present as semi-finalists were WCE students Valeria Bernadac, Eric Beydoun, Julia Lonnegren, Sergey Petrov, and Ivette Rubio (Team Wavve), the first time one school has had two semi-finalists at this competition. Doctoral student Raghu Bommaraju won a Sales Education Foundation Research Grant for his proposal "Self-selection of Incentive Plans by the Sales Force." Doctoral student Weixing Ma Ford was named as a finalist in the uSamp Outstanding Teacher-Scholar Doctoral Student Competition conducted by the Marketing Management Association. Weixing previously was a finalist for the UH Teaching Excellence Award. Prof. Seshadri Tirunillai was named as a finalist for the 2014 Frank Bass Award given by the Institute for Operations Research and the Management Sciences (INFORMS) for the best marketing paper derived from a doctoral thesis and published in an INFORMS journal during the past two years. Sesh's dissertation previously won the 2012 AMA John Howard award for best dissertation in the field of marketing. Prof. Joel LeBon won the Best Paper Award at the 2014 Global Sales Science Institute Conference. Prof. Ye Hu was cited for Excellence in Reviewing by the Journal of Interactive Marketing. Doctoral alum Zachary Hall won the 2014 AMA Sales SIG Dissertation Award for best doctoral dissertation in the area of selling and sales management. Prof. Seshadri Tirunillai was named as one of the winners in the Marketing Science Institute research competition on "Social Interactions and Social Media Marketing". As a winner of the competition, Sesh and his co-authors will receive an MSI grant to support their research into the effects of governance structures on the vibrancy of social media networks. Prof. Sam Hui and co-authors Jeff Inman, Yanliu Huang, and Jacob Suher won the 2013 MSI/H. Paul Root Award for their article "The Effect of In-Store Travel Distance on Unplanned Spending: Applications to Mobile Promotion Strategies." The Paul Root award is co-sponsored by the American Marketing Association and Marketing Science Institute, and is given each year to a Journal of Marketing article chosen for its significant contribution to the advancement of the practice of marketing as voted by members of the JM Editorial Board. WCE students Valeria Bernadac, Eric Beydoun, Julia Lonnegren, Sergey Petrov, and Ivette Rubio (Team Wavve) took third place in the California Dreamin' business plan competition. First and second went to teams from the University of Chicago and Carnegie Mellon. In addition to $30,000 in monetary prizes, Wavve won guaranteed screenings with three of the competition's venture capital firm partners, which include Draper Fisher Jurvetson, Kleiner Perkins Caufield & Byers, March Capital, Menlo Ventures, Miramar Ventures, Pritzker Group, Ricon Venture Partners, and True Ventures. Doctoral alum Scot Burton was named Tyson Chair in Food and Consumer Products Retailing at the University of Arkansas. Scot previously was Wal-Mart Chair in Marketing at Arkansas, and before that Ourso Professor of Marketing at LSU. Doctoral alum Doug Hughes was named as Associate Editor (and Editor-Elect) for Journal of Personal Selling & Sales Management. 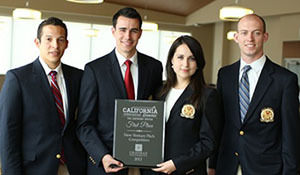 WCE undergraduate students Cassandra Hoang, Bobby Jacobs, Casey McNeil, and Susan Tran (Team REEcycle) won first place and a prize of $100,000 in the FLOW business plan competition at Cal Tech. WCE students Valeria Bernadac, Eric Beydoun, Julia Lonnegren, Sergey Petrov, and Ivette Rubio (Team Wavve) made the semi-finals and won the $15,000 Clean Technology Innovation Prize at the Rice University business plan competition. WCE undergraduate students Jonathan Brown, Jonathan Cohen-Kurzrock, Rowbin Hickman, Brenda Rojo, and Noy Shemer (Team Energetik) took 3rd place and the Energy Independence Award at the TCU Values & Ventures business plan competition. (from left) Team alternates TJ Brown and Andrew Diano join Saskya Gagneux and Andrew Bearden holding trophies that recognize our history of success at NCSC. Program for Excellence in Selling students Andrew Bearden and Saskya Gagneux placed 7th at the 2014 National Collegiate Sales Competition. Our PES teams have finished in the Top 10 at NCSC in 9 of the past 10 years with first place finishes in 2004, 2011, and 2012, an unrivalled record of success. Prof. Hesam Panahi, founder of the RED Labs accelerator for student technology businesses, received the UH Teaching Excellence Award for 2014. WCE undergraduate students Valeria Bernadac, Eric Beydoun, Julia Lonnegren, Sergey Petrov, and Ivette Rubio (Team Wavve) won first place in the Global Student Business Plan Competition at Nassau, Bahamas. WCE undergraduate students Jonathan Brown, Jonathan Cohen-Kurzrock, Rowbin Hickman, Brenda Rojo, and Noy Shemer (Team Energetik) won first place in the University of Nebraska-Lincoln UNL New Venture Competition. (from left) Corbin, Alicia, Karey, Rashmi, Jake, Tim, Paula, Ariana, Chris, and Aliki flash their Cougar paws. WCE undergraduate teams took 1st and 3rd in the Giants Entrepreneurship Challenge at the University of North Dakota. 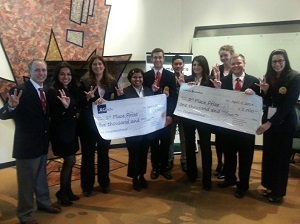 First place went to Rashmi Bhat, Corbin Bradford, Karey Gallagher, Jacob Hines, and Alicia Ramirez (Team CARA). Third place went to Tim Arnaez, Paula Musa, Aliki Thanos, Ariana Thrasher, and Chris Wick (Team Oxiginne). WCE undergraduate students Cassandra Hoang, Bobby Jacobs, Casey McNeil, and Susan Tran (Team REEcycle) won first place and $25,000 in the Baylor New Venture competition. Prof. Michael Ahearne was named Area Editor at Journal of Marketing. Doctoral alum Raj Venkatesan was named Area Editor at Journal of Marketing. Doctoral alum Werner Reinartz was named Area Editor at Journal of Marketing. 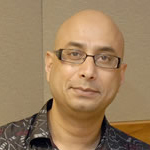 Doctoral alum Abhijit (Abe) Biswas was named to the editorial board for Journal of Marketing. Abe also serves on editorial boards for Journal of the Academy of Marketing Science, Journal of Advertising, Journal of Business Research, and Journal of Consumer Marketing. Doctoral alum Abhijit (Abe) Biswas was named to the editorial board for Journal of Consumer Marketing. Doctoral alum Kiran Kirande was named Associate Dean in the College of Business and Public Administration at Old Dominion University. Doctoral alum Mary Gilly serves as 2014-15 Chair of the Academic Senate for the University of California system and Faculty Representative to the Board of Regents. Mary served as 2012-2013 Chair of the UC-Irvine branch of the UC Academic Senate. Doctoral alum Scot Burton and co-authors J. Craig Andrews and Richard Netemeyer received the 2013 Thomas C. Kinnear Award. This award honors articles in Journal of Public Policy & Marketing that have made a significant contribution to the understanding of marketing and public policy issues. 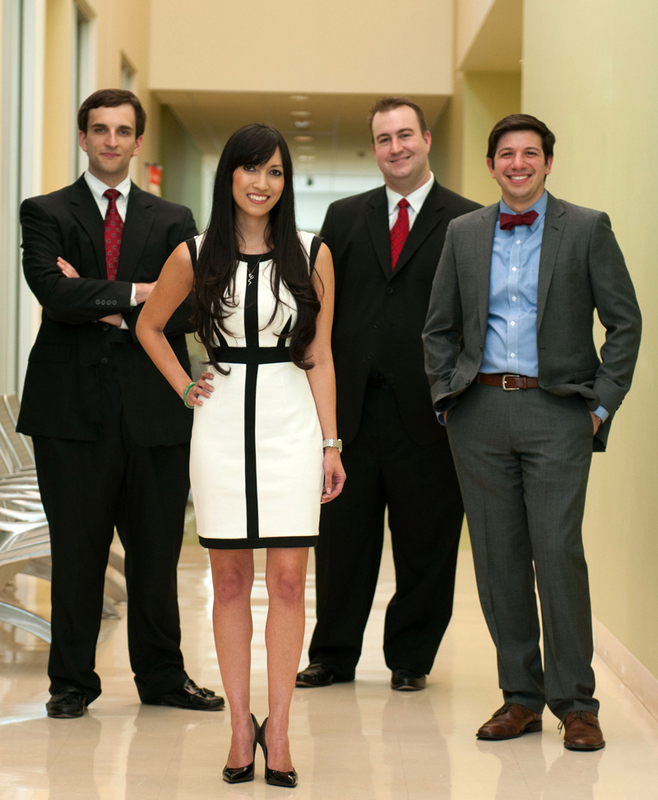 MBA students Heather Nguyen, Jason Ruth, Adam Jalfon and James McLellan, coached by Prof. Steve Koch, were named Champion for the Americas (North and South) in the Google Online Marketing Challenge. Bauer teams have won podium places or at least made the semi-finals in every year we have competed. Doctoral alum Raj Echambadi was named Associate Dean of Outreach and Engagement for the College of Business at the University of Illinois. Doctoral alum Nancy Albers-Miller was named Dean of the School of Business at Pacific Lutheran University. Doctoral alum Raj Echambadi was named to the editorial board for Strategic Management Journal. Doctoral student Zach Hall's dissertation, "Salesperson Intuition: Its Critical Role in the Sales Process and Antecedents," was named runner-up for the Academy of Marketing Science Mary Kay Award for best dissertation in the field of marketing. Doctoral alum Ryan Mullins won the 2013 Doctoral Dissertation Award from the American Marketing Association Sales Special Interest Group (Sales SIG) for his dissertation "Salesperson Judgment (In)accuracy: An Integrative Conceptual Framework and Empirical Evidence." Doctoral alum Babak Hayati was runner-up for "Implementing Marketing Strategies through Business-to-Business Sales Forces: A Social Network Perspective." (from left) Kevin Cruz, Scott Black, Genevieve Simmons and Roger Seward. Wolff Center for Entrepreneurship business plan team Scott Black, Kevin Cruz, Roger Seward and Genevieve Simmons won 1st place at the California Dreamin' Super Competition, defeating teams from Cal Tech, Stanford, Southern Cal, UCLA, UC-Berkeley, Washington, Oregon, Utah, BYU, Colorado, Arizona, Arizona State, Oklahoma, Oklahoma State, Baylor, TCU and Texas among others. This is WCE's 21st podium finish in national business plan competitions in the past 12 years. Prof. Michael Ahearne and former post-doctoral fellow Florian Kraus, with co-authors Jan Wieseke and Sven Mikolon, won the AMA Sales SIG 2013 Excellence in Research Award for their Journal of Marketing paper entitled "Multiple Identification Foci and Their Countervailing Effects on Salespeople's Negative Headquarters Stereotypes." Mike also won this award in 2011. Doctoral alum Raj Venkatesan received the Journal of Interactive Marketing Best Reviewer Award. Doctoral alum Larry Chonko was named Editor for a Journal of Personal Selling and Sales Management special issue on ethics in the sales force. Larry served as Editor of JPSSM from 1988-1990. Prof. Jacqueline Kacen received the Journal of Advertising Best Reviewer Award. Doctoral student Zach Hall received the 2012-13 University of Houston Teaching Excellence Award for graduate teaching assistants. Zach is the fourth student from our department to receive this campus-wide award in recent years Keith Richards received the award in 2006, Doug Hughes in 2007, and Willy Bolander in 2010. Wolff Center for Entrepreneurship business plan team Scott Black, Kevin Cruz, Roger Seward and Genevieve Simmons won 3rd place at the 26th Annual Innovation Competition at the University of Nebraska. 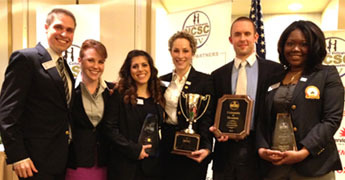 This is WCE's 20th podium finish in national business plan competitions in the past 12 years. NCSC team: PES Program Manager Sonya Brooks, Alternates Raul Giron and Juan Rueda, PES Manager Kyle Jarrell, Coach Amy Vandaveer, Ricardo Guerra and Nicole Pinkelman. Program for Excellence in Selling students Nicole Pinkelman and Ricardo Guerra won 4th place at the National Collegiate Sales Competition. This is the 11th time in 13 years that our PES team has placed in the top 10 at NCSC. Doctoral student Jeff Boichuk was a winner in the Doctoral Dissertation Award Competition sponsored by ISBM (Institute for the Study of Business Markets). Doctoral alum Raj Echambadi was selected to receive the University of Illinois College of Business Alumni Association Award for Excellence in Graduate Teaching. Prof. Edward Blair was named to the Journal of Consumer Research (JCR) Policy Board. He will represent the American Association for Public Opinion Research (AAPOR) on that board. Doctoral alum Alina Sorescu was named Rebecca U. ྆ and William S. Nichols III ྆ Associate Professor of Marketing in the Mays Business School at Texas A&M University. Doctoral alum Deva Rangarajan was named Director of the Sales Expertise Center in the Vlerick Business School at University of Ghent, Belgium. Prof. Seshadri Tirunillai's dissertation, "Essays on User-Generated Content and Performance," won the American Marketing Association (AMA) John Howard Award for best doctoral dissertation in the field of marketing. Prof. Michael Ahearne and Prof. Vanessa Patrick were listed by the AMA Doctoral Student Special Interest Group as two of the 50 most productive authors in leading marketing journals from 2008-2012. Mike ranked 17th and Vanessa 33rd for publications in Journal of Marketing, Journal of Marketing Research, Journal of Consumer Research and Marketing Science. 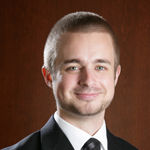 Doctoral student Zach Hall was named a winner of the 2013 AMA Sales SIG Dissertation Proposal Competition. Doctoral alum Son Lam was invited to attend the 2013 Marketing Science Institute Young Scholars Program. This program recognizes the most productive young scholars in the field. Sonny joins doctoral alums Raj Venkatesan (2009) and Werner Reinartz (2005) as MSI Young Scholars. Prof. Steve Brown and doctoral alum Son Lam were recognized as authors of one of the 10 most cited articles in the Journal of Retailing from 2007-2011 for "A Meta-Analysis of Relationships Linking Employee Satisfaction to Customer Responses." Doctoral students Jeff Boichuk and Ying Yang both were named finalists in the 2012 Doctoral Dissertation Award Competition sponsored by ISBM (Institute for the Study of Business Markets). MBA students Sheraz Khan, Xavier Livingston, Michael Morrow and Krista Tucker were named as Semi-Finalists in the Google Online Marketing Challenge. Approximately 3,000 teams from 86 countries competed in this contest. This is the third year in a row that a Bauer team has made the semi-finals. Prof. Michael Ahearne received the inaugural Neil Rackham Research Dissemination Award from the Sales Education Foundation for the impact of his research on business practices. Marketing student Kyley Pitts and Entrepreneurship student John Nicklos won UH Summer Undergraduate Research Fellowships. Doctoral alum Sarah Gardial was named Henry B. Tippie Dean of the University of Iowa Tippie College of Business. Previously, she was the Beaman Professor of Business at the University of Tennessee where her leadership roles included Vice Provost for Faculty Affairs. Doctoral alum Gillian Oakenfull at Miami University was named as the 2012 Carnegie Foundation for the Advancement of Teaching Ohio Professor of the Year. Doctoral alum Gillian Oakenfull won the 2012 Academy of Marketing Science Outstanding Marketing Educator Award. Doctoral alum Gillian Oakenfull received the Marketing Management Association’s Hormel Meritorious Teaching Award for 2012. Doctoral alum Anu Sivaraman won the 2012 Outstanding Teacher award for the University of Delaware Lerner College of Business & Economics. Doctoral alum Raj Echambadi was named 2012 Outstanding Professor in the Executive MBA Program and 2012 Outstanding Professor in the Professional MBA program at the University of Illinois. Undergraduate students Justin Farley, Randy Hannemann, Louis McEneny, Tattiana Reznick and Adam Trojanowski, representing the Wolff Center for Entrepreneurship, won first place at the 25th Annual Innovation Competition at the University of Nebraska. Our WCE students have won 19 awards in national business plan competitions in the past 11 years. The team of Justin Farley, Randy Hannemann, Louis McEneny, Tattiana Reznick and Adam Trojanowski also won first place at the Richards Barrentine Values and Ventures competition held at TCU. The team of Justin Farley, Randy Hannemann, Louis McEneny, Tattiana Reznick and Adam Trojanowski also won second place at the California Dreamin' "super-competition" held at Chapman University, placing ahead of teams from Southern Cal, UC Berkeley, UCLA, and UC San Diego among others. Prof. Partha Krishnamurthy was named track chair for Consumer Psychology and Prof. Michael Ahearne and doctoral alum Ryan Mullins were named track chairs for Selling and Customer Relationship Management for the 2013 Winter AMA Conference. NCSC team: Alternate Bryan Hentges, Coach Amy Vandaveer, Grace Moceri, Alternate Markee Johnson, PES Program Manager Kyle Jarrell, and Sonya Brooks. Program for Excellence in Selling students Grace Moceri and Sonya Brooks won first place at the National Collegiate Sales Competition (NCSC). Grace placed first and Sonya second in the individual competition, guaranteeing the team win for PES. This is second year in a row our PES team placed first and the 10th time in 12 years that our PES team placed in the top 10 at NCSC. Doctoral students Babak Hayati and Ryan Mullins won the 2011 American Marketing Association Sales SIG Dissertation Proposal Award. Doctoral alum Babu John Mariadoss was named to the editorial board for Journal of Hospitality Marketing and Management. Babu also serves on the editorial board for Journal of Personal Selling & Sales Management. Doctoral alum Doug Walker received the 2012 College of Business Junior Faculty Teaching Award at Iowa State University. Doctoral alum Deva Rangarajan received a 2012 IBM Faculty Award to support his research on solution selling. MBA students Raj Baskaran, Trey Bhutta, Iryna McKenzie and Kim Phan won first place and MBA students Irene Hsu, Sarah Jachimiec, Abel Noah and Wes Swift won second at Rice University's marketing case competition. Prof. Edward Blair was named 2012 Chair of the American Statistical Association Committee on Energy Statistics. This committee advises the U.S. Energy Information Administration, which is charged with providing unbiased information to guide U.S. energy policy. Prof. Joel LeBon, former doctoral research fellow Adam Rapp, and doctoral alum Doug Hughes received the Irwin/McGraw-Hill Best Paper Award at the 2011 Society for Marketing Advances conference. Prof. Steve Brown was named as an Associate Editor for Journal of Marketing. 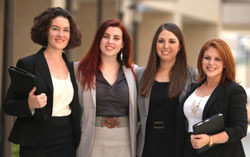 MBA students Erin Blatzer, Jeffrei Clifton, Lauren Davis and Carolina Thomas and faculty advisor Steve Koch were named global winners of the 2011 Google Online Marketing Challenge. 4,429 teams from 69 countries competed. Doctoral alum Mary Gilly received the 2011 American Marketing Association William-Qualls-Spratlen Award for excellence in mentoring multicultural doctoral students. Doctoral alum Sarah Fisher Gardial was named President of the MBA Roundtable, a cooperative association of business schools that seek to improve graduate business education. Sarah is Vice-Provost for Faculty Affairs and Beaman Professor of Marketing at the University of Tennessee. Doctoral alum Raj Venkatesan was named by the Poets & Quants website as one of its "Best 40 Under 40" business school professors. Raj is the Bank of America Research Associate Professor at the University of Virginia Darden Graduate School of Business. 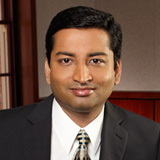 Doctoral alum Raj Venkatesan was a finalist for the 2011 Harold Maynard Award Best Paper Award at Journal of Marketing. Doctoral alum Raj Venkatesan was a finalist for the 2011 Best Paper Award at International Journal of Research in Marketing. Our Wolff Center for Entrepreneurship was ranked #1 among the Top 25 undergraduate entrepreneurship programs by Entrepreneur magazine and Princeton Review. The program has been ranked #1, #1, #2, #1 and #2 in the past five years. Prof. Vanessa Patrick was named to the editorial board of Journal of Consumer Research. 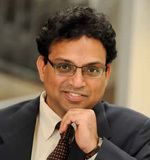 Doctoral alum Raj Echambadi was named 2011 Outstanding Professor for the University of Illinois Executive MBA program. Doctoral alum Kiran Kirande received the Outstanding Faculty Teaching Award for the Old Dominion University College of Business and Public Administration. Doctoral alum Patrick Murphy received a Lifetime Achievement Award from the AMA Marketing and Society Special Interest Group. 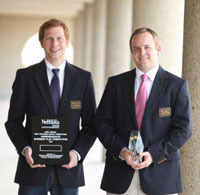 Doctoral alum Werner Reinartz received the 2011 Sheth Foundation/Journal of Marketing Award. This award is nominated by the editorial board of the Journal of Marketing and chosen by previous editors of the Journal of Marketing to recognize scholarship that has made long-term contributions to the discipline of marketing. The award was given for "The Impact of Customer Relationship Characteristics on Profitable Lifetime Duration." Former doctoral research fellow Adam Rapp was named D. Paul Jones, Jr. and Charlene Jones Compass Bank Endowed Chair in Services Marketing at the University of Alabama. Doctoral alum Sonja Prokopec was named LVMH Chaired Professor at ESSEC Business School in Paris. Prof. Steve Brown rejoined the editorial board for Journal of the Academy of Marketing Science. Steve also serves on the editorial boards for Journal of Marketing, Journal of Retailing, and Journal of Services Research. Prof. Rex Du won the 2011 Best Paper award at the American Marketing Association's Advanced Research Techniques Forum for his research with co-author Wagner Kamakura on "Quantitative Trendspotting." Prof. Michael Ahearne and doctoral alum Doug Hughes won the AMA Sales SIG 2011 Excellence in Research Award for their Journal of Marketing paper entitled "Energizing the Reseller’s Sales Force: The Power of Brand Identification." The Excellence in Research Award is intended to recognize a professional selling and/or sales management article published during the previous year that has made a significant contribution to the sales discipline. Doctoral student Zach Hall won a research grant from the University Sales Education Foundation for his proposed research on " Decomposing Customer Need Knowledge: The Role of Customer Need Intuition in the Sales Process." Doctoral alum Babu John Mariadoss was named IBUS Fellow in the College of Business at Washington State University. Doctoral alum Babu John Mariadoss was named to the editorial board for Journal of Personal Selling and Sales Management. Doctoral alum Doug Hughes was named to the editorial board for Journal of Personal Selling & Sales Management. Doug also serves on the editorial board for Journal of the Academy of Marketing Science. Doctoral alum Son Lam was named to the editorial board Journal of Personal Selling & Sales Management. Doctoral alum Alina Sorescu received the Association of Former Students campus-wide Distinguished Teaching Award at Texas A&M University. Doctoral alum Scot Burton and co-authors won the Best Article Award from Journal of Consumer Affairs for articles published in 2009 and 2010. Program for Excellence in Selling students Rebekah Elliott and Taylor Herbert won first place in the National Collegiate Sales Competition (NCSC). Rebekah and Taylor both made the individual semi-finals, and their combined scores placed UH first in the team competition. This is the 9th time in 11 years that our PES team placed in the top 10 at NCSC. Doctoral student Willy Bolander received Honorable Mention in the Academy of Marketing Science competition for best doctoral dissertation (the Mary Kay Award). Prof. Michael Ahearne was named Editor-in-Chief for Journal of Personal Selling and Sales Management. Doctoral student Babak Hayati was named winner of the 2010 ISBM (Institute for the Study of Business Markets) Doctoral Support Award for his research on "Performance Impacts of a Key Account Team's Social Capital: A Social Network Perspective." Prof. Edward Blair was named 2011 Chair of the American Statistical Association Committee on Energy Statistics. This committee advises the U.S. Energy Information Administration, which is charged with providing unbiased information to guide U.S. energy policy. Doctoral alum Keith Richards was named UC Foundation Associate Professor of Marketing at University of Tennessee Chattanooga. Doctoral alum Dena Cox was named Health Behavior Research Fellow in the Kelley School of Business at Indiana University. Doctoral alum Doug Hughes was named to the editorial board of Journal of Academy of Marketing Science. Prof. Michael Ahearne was named to the editorial board of Journal of Marketing. Prof. Michael Ahearne was named to the editorial board of Journal of the Academy of Marketing Science. Prof. Vanessa Patrick served as co-editor for the Journal of Consumer Psychology special issue on Aesthetics in Consumer Psychology. Our Wolff Center for Entrepreneurship was ranked #1 among the Top 25 undergraduate entrepreneurship programs by Entrepreneur magazine and Princeton Review. The program has been ranked #1, #2, #1 and #2 in the past four years. Doctoral alum Werner Reinartz chaired the 2010 Marketing Science conference. 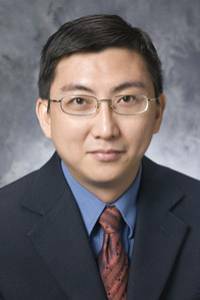 Doctoral alum Son Lam received the 2010 Emerging Scholar Award from the Society for Marketing Advances. This award recognizes an Assistant Professor who has made significant scholarly contributions to the marketing discipline early in his/her career. 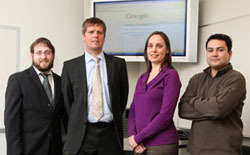 MBA students Victor Cintron, Daniel Gavin, Kim Schwager and Mark Ward were named as Semi-Finalists in the 2010 Google Online Marketing Challenge. More than 3,000 teams from around the globe competed in this contest. Doctoral alum Son Lam's dissertation, "Customer-Brand Identification as a Sustainable Competitive Advantage: A Multinational and Longitudinal Examination," was runner-up (Honorable Mention) for the American Marketing Association (AMA) 2009 John Howard Award for best doctoral dissertation in the field of marketing. 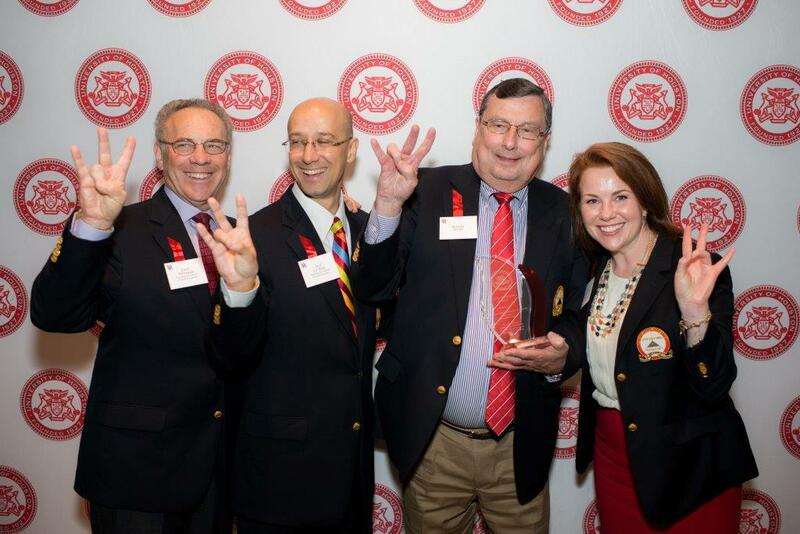 UH doctoral students previously won the Howard Award in 2003 (Alina Sorescu) and 1999 (Werner Reinartz). Doctoral alum Judy Harris was named Department Chair in the Department of Marketing at Towson University. Doctoral alum Doug Hughes received the AMA Sales SIG McGraw-Hill/Irwin Teacher of the Year Award. MBA student Deborah Mendez, under the guidance of Executive Prof. Steven Koch, won first place in the 2010 NextBillion Case Writing Competition conducted by the University of Michigan William Davidson Institute. Deborah's case, which studied how Nestlé Venezuela expanded its market for sweetened condensed milk by teaching low-income women how to start businesses selling baked goods, will be published by the Davidson Institute as part of its academic resources on the connection between development and enterprise. Doctoral alum Jaishankar (Jai) Ganesh was named Dean of the Rutgers University School of Business at Camden. WCE students Andrew Jobe (left) and James Wilson. 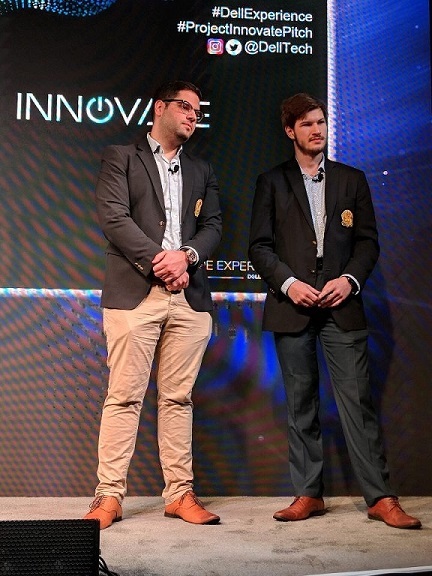 Undergraduate students Andrew Jobe and James Wilson, representing the Wolff Center for Entrepreneurship, won awards at two national business plan competitions. Andrew and James took first place in the University of Nebraska’s New Ventures World Competition and second place in the New Venture Creation Competition at the University of Evansville. Our WCE students have won 16 awards in national business plan competitions in the past 9 years, which is more than any other school. Doctoral alum Keith Richards and former faculty member Eli Jones received the 2010 J. M. Comer Award for Best Contribution to Selling and Sales Management Theory for their Journal of Personal Selling and Sales Management article titled "Key Account Management: Adding Elements of Account Fit to an Integrative Theoretical Framework." Prof. Partha Krishnamurthy was named to the editorial board of Journal of Consumer Psychology. He joins Prof. Vanessa Patrick to give us two members of the JCP board. Doctoral alum Gopala Ganesh was named University Distinguished Teaching Professor at the University of North Texas. Prof. Ganesh previously won the 2005 American Marketing Association Solomon-Marshall-Stuart Award for Innovative Excellence in Marketing Education. Lecturer John McKeever was named as one of Houston Business Journal's "40 Under 40" for 2010. These are "40 young leaders who excel in their industries, are respected business leaders and show dynamic leadership in their community." Prof. Bette Stead (emerita) was one of ten Houstonians named to receive the Mayor's Volunteer Houston Award in recognition of her years of service with The Women's Home. Prof. Stead has served on the TWH Board of Directors since 1992, chaired their expansion campaign in 1997-98, and has chaired their Affordable Housing Task Force since 2001. Doctoral student Willy Bolander received the 2009-10 University of Houston Teaching Excellence Award for graduate teaching assistants. Willy is the third student from our department to receive this campus-wide award in recent years Keith Richards received the award in 2006 and Doug Hughes received it in 2007. Undergraduate Entrepreneurship student Alfonso Olvera was one of nine collegiate entrepreneurs featured in Inc. magazine's "America's Coolest College Startups 2010." This is the second consecutive year that a student from the Wolff Center for Entrepreneurship was featured. Doctoral student Bill Zahn was named winner of the 2009 ISBM (Institute for the Study of Business Markets) Doctoral Support Award for his research on "Exploration and Exploitation: How Competition Motivates through Challenge and Threat." Program for Excellence in Selling students Nick Nitschmann and Joy Jiang won 8th place in the team portion of the National Collegiate Sales Competition (NCSC). In individual competition, Nick advanced to the quarter-finals and Joy made the semi-finals. This is the 8th time in 10 years that our PES team placed in the top 10 at NCSC. 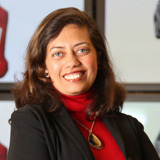 Prof. Niladri Syam's paper with Benedict G. C. Dellaert, "Consumer-Producer Interaction: A Strategic Analysis of the Market for Customized Products," was recognized by Social Science Research Network as one of the SSRN Top Ten most frequently downloaded papers in Marketing Strategy from January, 1997 through January, 2009. Prof. Edward Blair was named 2010 Chair of the American Statistical Association Committee on Energy Statistics. This committee advises the U.S. Energy Information Administration, which is charged with providing unbiased information to guide U.S. energy policy. Doctoral alum Andrea J. S. Stanaland was named Outstanding Faculty Member for the College of Business & Economics at Radford University. Prof. Noah Lim received the Management Science Meritorious Service Award for 2009 for his notable service as a reviewer for the journal Management Science. Doctoral alum Raj Venkatesan was named Bank of America Research Associate Professor at the University of Virginia Darden Graduate School of Business. Doctoral alum Raj Echambadi was named James F. Towey Faculty Fellow at the University of Illinois College of Business. Our Wolff Center for Entrepreneurship was ranked #2 among the Top 25 undergraduate entrepreneurship programs by Entrepreneur magazine and the Princeton Review. The program has been ranked #2, #1 and #2 in the past three years. Doctoral alum Larry Chonko received a Lifetime Achievement Award from the American Marketing Association Sales Interest Group. 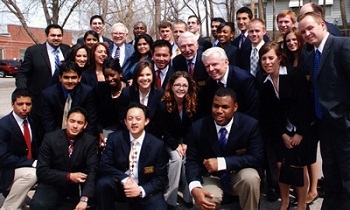 Twenty-seven students from the Wolff Center for Entrepreneurship were invited to visit the headquarters of Berkshire Hathaway in Omaha, Nebraska, where they had a lengthy question-and-answer session with legendary investor Warren Buffett. Doctoral alum Doug Hughes received the 2009 Doctoral Dissertation Award from the American Marketing Association Selling and Sales Management Special Interest Group for best dissertation in the field of selling and sales management. This is the fourth consecutive year our students have won this award Babu John Mariadoss won in 2008, Adam Rapp in 2007 and Frank Fu in 2006. Doctoral alum Werner Reinartz won the American Marketing Association’s Varadarajan Award for Early Career Contributions in the area of marketing strategy and management. Prof. Reinartz is Professor of Marketing at University of Cologne (Germany), where he is Director of the Department of Retailing and Customer Management. Doctoral alum Werner Reinartz was a finalist for the 2009 O'Dell Award, given for the Journal of Marketing Research article published five years earlier that is judged to have made the greatest contribution to the field of marketing. Doctoral alum Werner Reinartz won the Journal of Interactive Marketing 2009 Best Paper Award for "Investigating Cross-Buying and Customer Loyalty" by Werner Reinartz, Jacquelyn S. Thomas and Ganaël Bascoul. Undergraduate Entrepreneurship student Danny Klam was one of eight collegiate entrepreneurs featured in Inc. magazine's "America's Coolest College Startups 2009." Undergraduate student Ashley Hurst won a UH Summer Undergraduate Research Fellowship to do research on consumers' impulse purchasing. Incoming faculty members Vanessa Patrick and Rex Du were invited to attend the 2009 Marketing Science Institute Young Scholars Program, which recognizes the most productive young scholars in the field. Doctoral student Son Lam's dissertation, "Customer-Brand Identification as a Sustainable Competitive Advantage: A Multinational and Longitudinal Examination," was named winner of the 2008 Emory Marketing Institute Doctoral Dissertation Award. Doctoral student Son Lam was named runner-up in the 2008 Association for Consumer Research/Sheth Dissertation Award Competition. His dissertation also was named runner-up in the SCP dissertation competition and won first place in the AMA Relationship Marketing SIG competition (see below). Doctoral alum Gillian Oakenfull won the 2009 Richard T. Farmer Teaching Excellence Award for the Miami (Ohio) University Farmer School of Business. Doctoral alum Keith Richards received the 2009 James M. Comer Award from Journal of Personal Selling and Sales Management for Best Contribution to Selling and Sales Management Theory or Methodology.